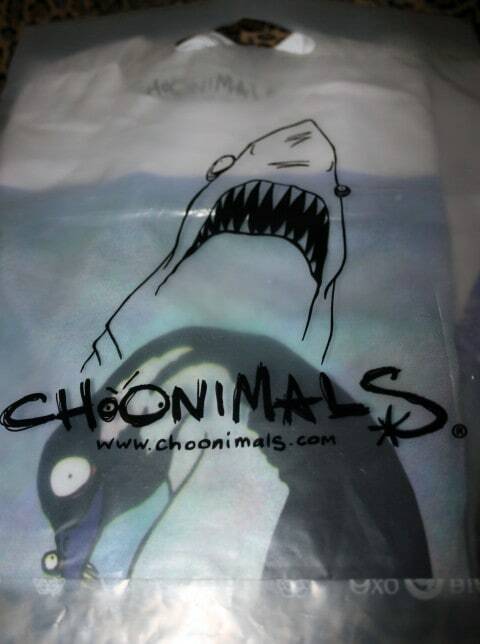 After being affected by Hurricane Sandy here in New Jersey, I was pleasantly surprised and excited to receive a nice package from Choonimals for my next review. 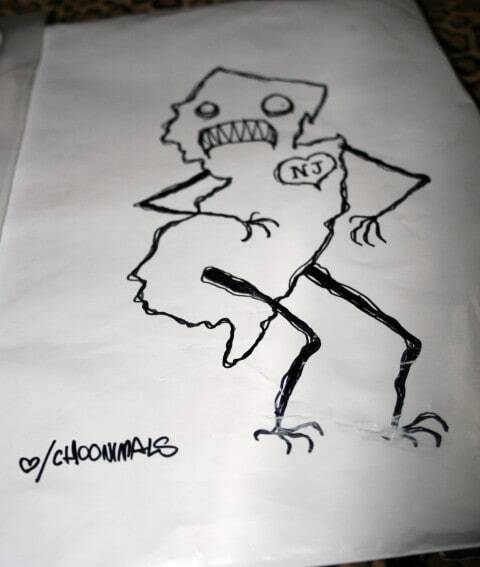 Especially since they drew me a lovely picture on the mailer of the state of NJ looking pretty angry or scared, I can’t decide. Whether it was intended for that purpose or not, I enjoyed it and thought it was a special touch. I didn’t get to choose my shirt from them so when I opened it up I was definitely happy with what they had selected for me. 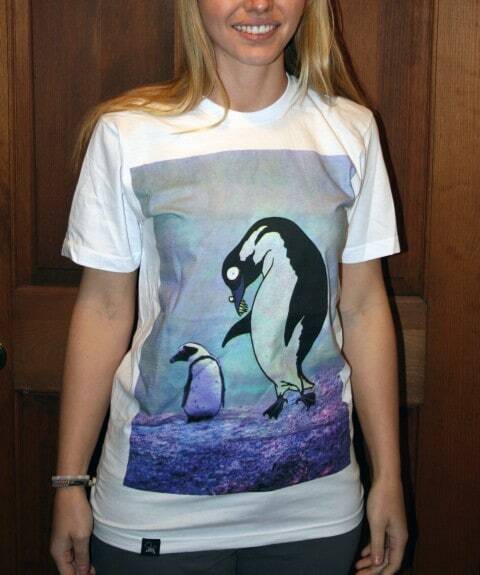 The shirt is printed on American Apparel, which is always a quality, soft shirt made of 100% cotton. Choonimals has a lot of cute animal designs on their website yet with a twist. The animals all look cute but some have a rabid or demented look to them. They’ve got quite a selection of products from tees to tanks to hoodies ( I kind of want to grab every tank they have in stock even though it’s winter). 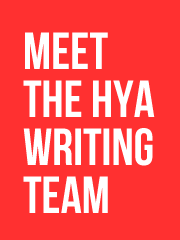 Also, if you read up on their history of the brand it’s a pretty cool story how they got started and how the name came to be (from a server at Arby’s). Needless to say, the design they sent me was cute and the colors were even better. The shirt gives you a bright yet subtle range of purples, pinks and blues that really combine to become an attractive and appealing shade for a shirt. The design is printed in what I’d identify as a boxy photograph approach; meaning they purposely made it square like an image was printed to the shirt so they’d have that sort of background, instead of the t-shirt itself becoming the background as a lot of brands do. This is the only shirt on their website that has this look to it and typically I’m bothered by shirts like this, but this one I don’t mind. 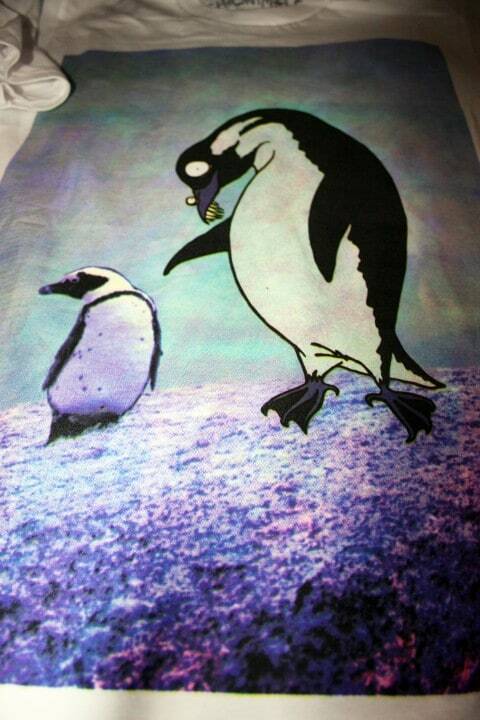 They’ve seemed to incorporate a real image of a penguin with a designed image of a penguin which I think was totally creative of them. Mixing to 2 concepts of design really makes for a great piece of wearable art! 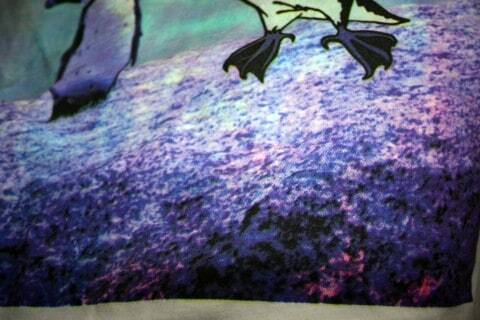 What I love about this shirt the most is there is basically no textural different between the shirt and design. It’s all smooth as can be which makes me wonder about their printing process myself? 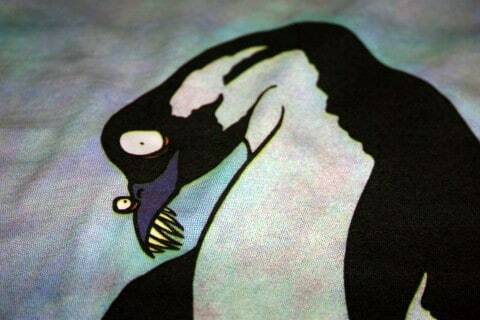 They have private labels printed on the inside neck which is always nice , especially since their Font, or lack there of, relates to their brand’s overall image as seen in their deranged animal designs. 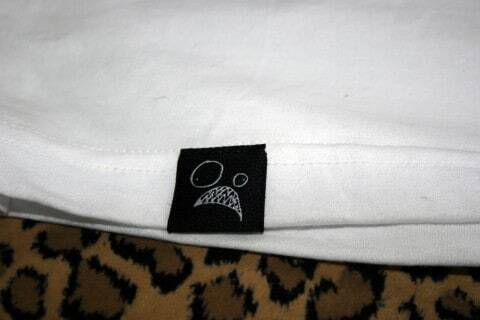 They also have a pretty legit hem-tag on the bottom of the tee with a little logo of there’s. When a brand takes the time to pay attention to detail with private labels and hem-tags, you know they’re in it to win it. Overall with the incorporated details Choonimals includes in their shirt, along with the quality of the product, I’d definitely place an order from them in the future. The fit of the shirt is not a women’s fit, but more a men’s slim fitting tee. Which honestly sometimes fits nicer than a women’s fit. The men’s slim fit is usually longer, a little boxier than a women’s style but still slightly form-fitting. 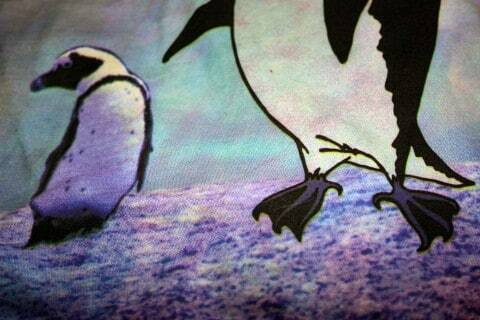 It’s not a shirt I would solely use to sleep in – we’ll put it that way! The design being so adorable (being that I am a huge animal lover), it’d definitely be something I’d wear out in public. 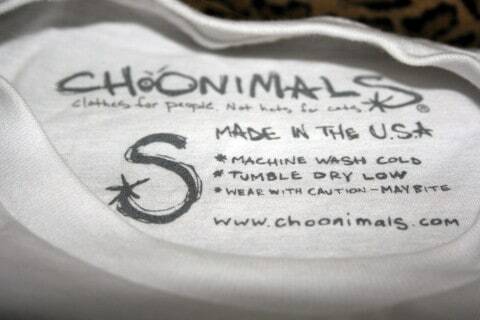 Choonimals is an environmentally conscious, animal friendly, fun brand full of playful designs. Some of my other favorites on their site are “Owl Capone” and “Elemeno Peacock” (so if anyone wants to send me a Christmas Gift, please feel free, I’m a small, thank you!). Oh! and don’t let me forget to show you one of my favorite parts of this package. They wrapped my shirt in one of their branded bags inside the mailer. At first it made for a confusing first look at the t-shirt because the image on the bag is clear and I really didn’t know what was going on. Then I realized the shark and logo on the bag are actually really cool looking and a very nice touch to an already quality-made product. Nice job Choonimals, I had a wonderful time reviewing your product and would happy to do more in the future. Feel free to send me lots of free products (I kidd, not really). Nice review and very curious designs! By that I mean I like them. 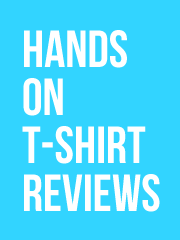 Previous post: Hop Aboard The T-Shirt Subway – Music Tee Reviews!